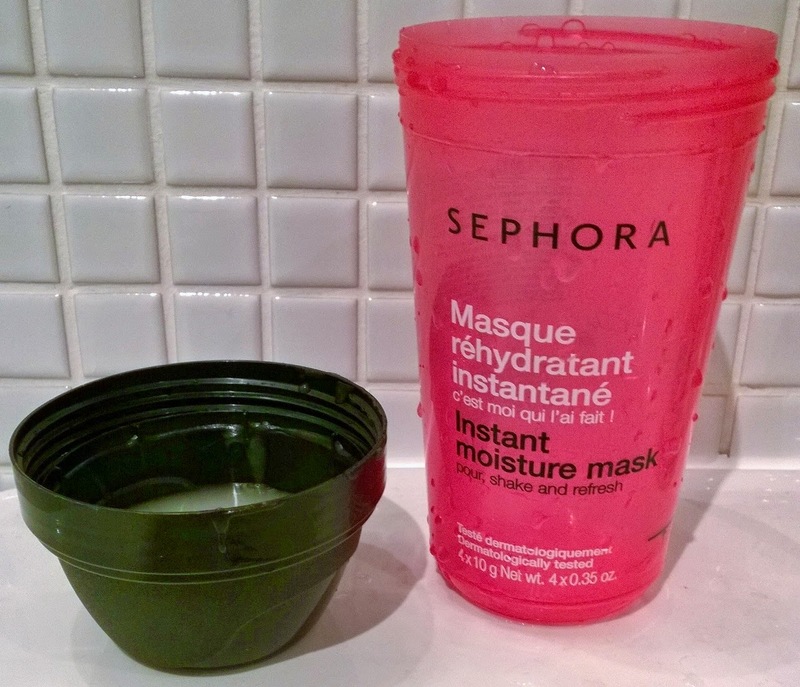 I was attracted to this by the idea of this Instant Moisture Mask from Sephora - a powder that you add water to, shake it away in its own cute little container, use it on the spot. Although I've rarely every been interested in anything Sephora-branded (apart from their shops themselves, which I love), I thought I'd give it a whirl. So I eagerly opened one of the enclosed sachets (I can't recall if you get three or four with the shaker - it's irrelevant, I'll be throwing the remainder out), and following the instructions, added it to water, shook it all about, and poured it out into the lid. Cue much gloopy-ness and a slight suspicion that I'd been taken for a bit of a mug. 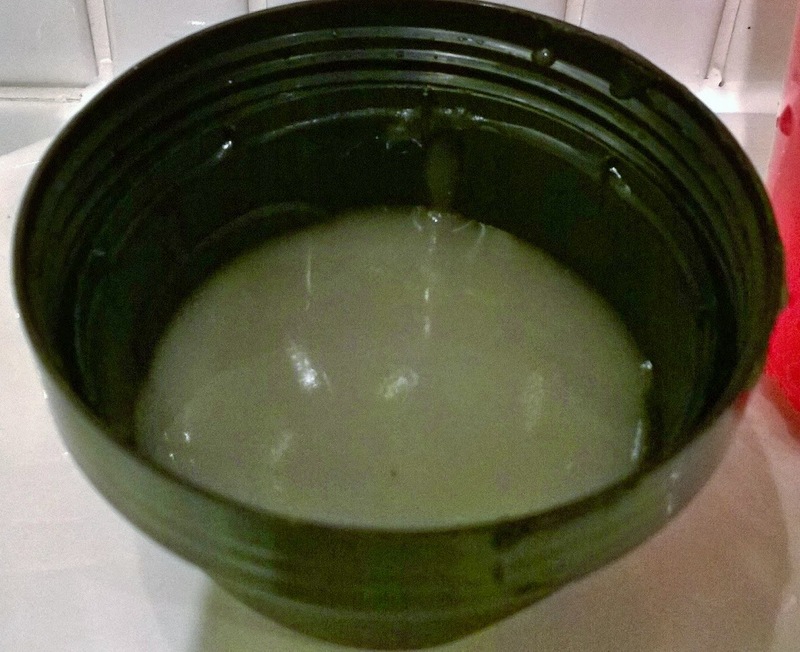 Pouring it out onto my hand, my suspicion heightened; this moved, and looked, and felt, like I'd added cornflour to water, turned it into a paste, and poured it onto my hand. Onwards to my face (no, no pictures of that horror, thank you very much!). 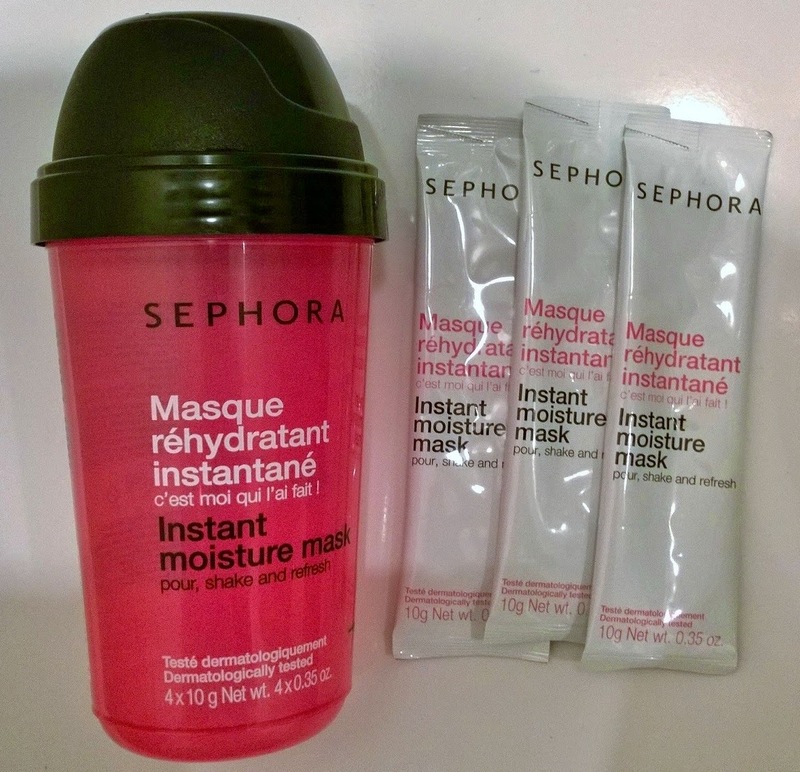 Again, following instructions, I applied this and left this on my face for the requisite amount of time (about five to ten minutes) and then removed it, waiting to see if I was one of the 76-100% of people Sephora claim noticed an increase in hydration, glow, smoothness. Nope, nope, and nope, 'fraid not, categorically not, and absolutely not. So I applied it again (there was enough in the lid for about two people; even with adding a thick layer, and then another one, I had heaps left over). And left if for twenty minutes this time before removing. Again, a big fat heap of useless nope. Oh - I did feel an immediate cooling sensation, but I had used nice cold bottled water from the fridge. 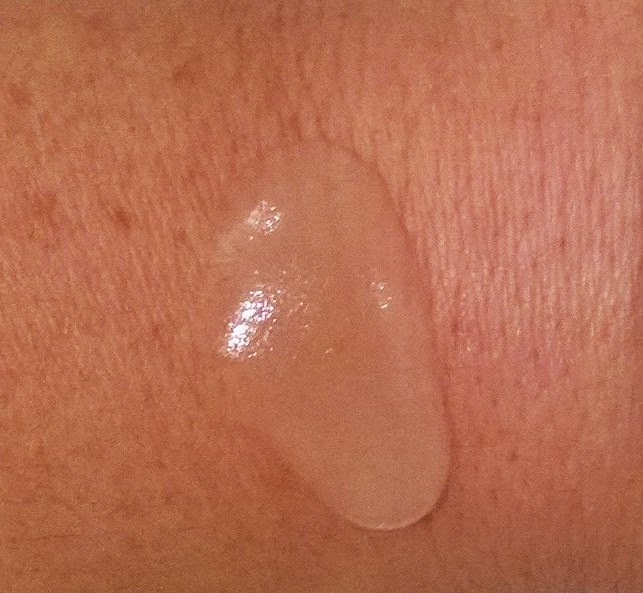 So I took a look at the Sephora website (here, if you're interested) and they claim that the ingredients will provide "moisture and comfort more effectively than hyaluronic acid" (uhhhh, no). And that it's formulated without parabens, sulfates, dyes, phthalates, GMs or Triclosan. All great, but I should point out that it's also formulated without anything of any real benefit either; a closer look at the ingredients listing revealed a starch, a thickener, a skin conditioner, a moisturiser and a fragrance) - all-in-all a bit of a gimmicky snake-oil rip-off I think. I need to stop buying Sephora-branded stuff. Seriously. Avoid.